Freshwater crocodiles are only found in Australia, inhabiting the freshwater rivers, lakes and ‘billabongs’ of northern Australia. Although they can tolerate saltwater, freshies are kept further upstream by the larger saltwater crocodiles. Despite growing to around 3 metres in length, freshwater crocodile attacks on people are rare, and they are not considered particularly dangerous to humans. Their jaws are quite narrow, making them easily distinguished from the saltwater crocodiles that also inhabit parts of their range. Freshwater crocodiles are listed as Lower Risk/Least Concern on the IUCN Red List of Threatened Species. 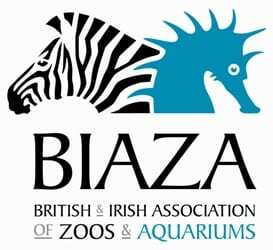 It is listed on Appendix II of CITES. Freshwater crocodiles are largely restricted to the freshwater habitats upstream of any tidal influence. The larger saltwater crocodiles are the restricting factor here. Almost any permanent freshwater body is inhabited by freshies, including rivers, lakes, swamps, and ‘billabongs’, or lagoons. In some areas, freshwater crocodiles can be found in the more tidal sections of rivers, but not in large numbers due to saltwater crocodile influence. In other areas, they can be sympatric with saltwater crocodiles. 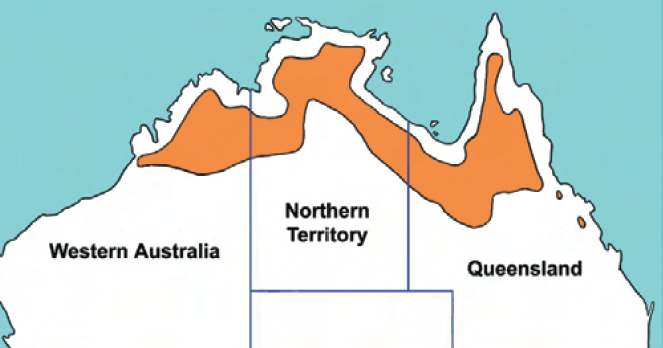 Some populations exist in the rocky escarpment streams in the Arnhem Land region. These populations are noticeably stunted, probably due to limited food resources. Freshwater crocodiles feed mainly on invertebrates and small vertebrates, such as fish, frogs, and toads. As with all crocodilians, as they grow, the food they eat is progressively larger. Freshwater crocodiles were hunted for their skins until the late 1960s, when they were afforded legal protection. A small sustainable use scheme was attempted to make them a valuable commodity, but this ceased due to the low value of their skins. Threats to the species are few, but the major one is the impact of the invasive cane toads. Populations are being monitored to track the impact of these toads on freshwater crocodiles. These toads can kill freshwater crocodiles if ingested, but the larger saltwater crocodiles remain largely immune to the toad’s toxin. Because of the narrow jaws, freshwater crocodiles are occasionally entangled in fishing nets and drown. This species is widespread, and numbers are abundant. 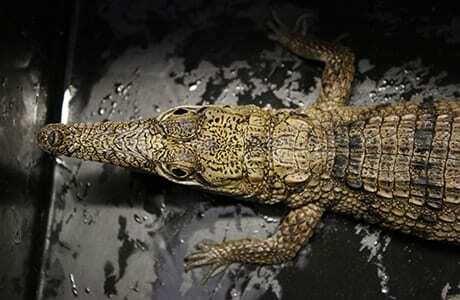 There is little threat of extinction for freshwater crocodiles. Lake Argyle and Lake Kununurra regions in Western Australia have the largest populations, with over 30,000 crocodiles. You can see our young freshwater crocodiles in the nursery area. These three crocodiles are lively little fellas, so feeding them is always a challenge! They were all bred at Frankfurt Zoo in Germany.